God Is &hellip; Bible Study Book includes a small group experience for six sessions, applicable Scripture, key word study, and a life application section called "Live It Out." &bull; Celebrate that we are always covered by Gods protection. &bull; Learn to trust God to meet your needs. &bull; Accept that only God can restore us and make us whole. &bull; See how Gods peace helps us rise above our circumstances. &bull; Understand at a deeper level how God guides us as we walk with Him. &bull; Realize that Gods righteousness will ultimately make all things right. The former president of Southwestern Baptist Theological Seminary in Fort Worth, Texas, Dr. Ken Hemphill has also served as the director of the Southern Baptist Center for Church Growth and as the pastor of churches in Virginia, Kentucky, and North Carolina. Dr. Hemphill holds doctoral degrees from Southern Baptist Theological Seminary and Cambridge University. He is the author of many books, including The Prayer of Jesus, Names of God, got life? evangelistic material, Revitalizing the Sunday-Morning Dinosaur, The Antioch Effect, and LifeAnswers: Making Sense of Your World. 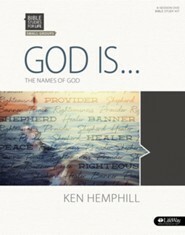 Dr. Hemphill has made a significant contribution to Christian life in America today. 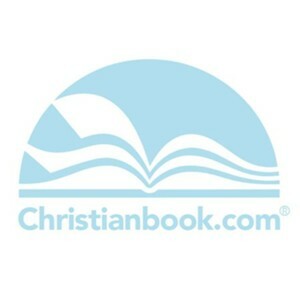 I'm the author/artist and I want to review Bible Studies for Life: God Is ..., Bible Study Book.